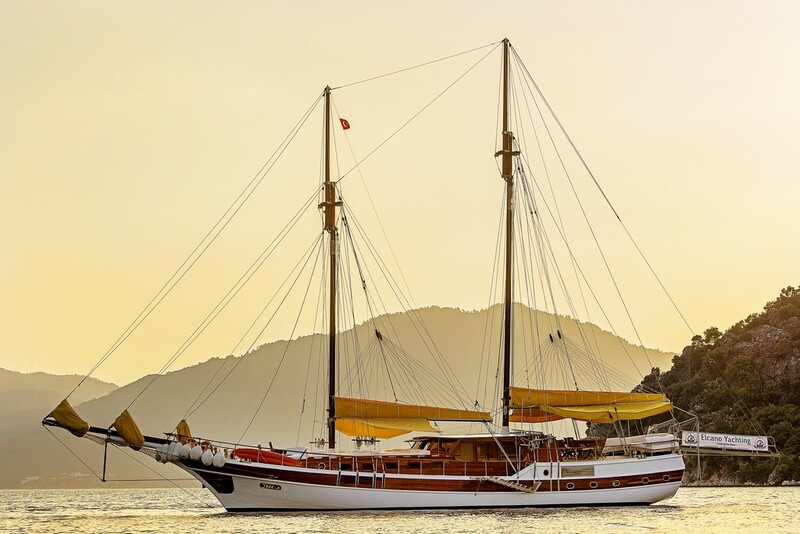 The classic wooden gulet Ipek A is a six double bed cabin sailing crewed yacht which can comfortably carry up to twelve guests on a traditional blue cruise along the Turkish coast and amongst the eastern Greek Islands of the Aegean. 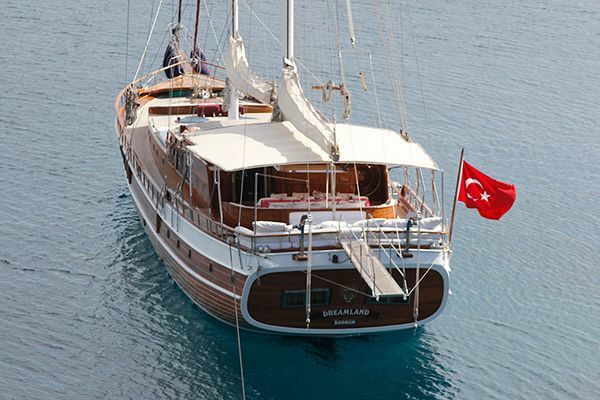 Built along the traditional lines of the Bodrum gulets, the attractive hull with the long bowsprit carries a comparatively rare gaff rig for sailing which will at times be set by the crew when the wind is right. 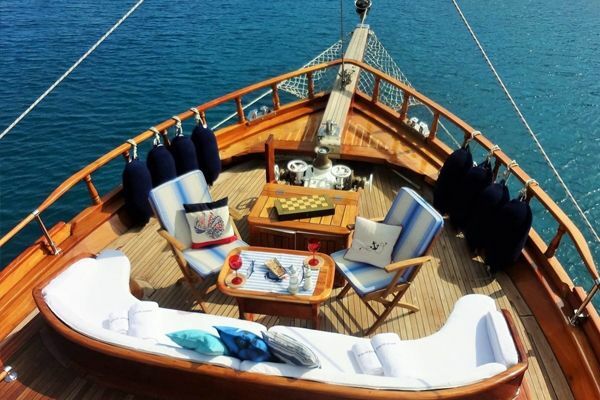 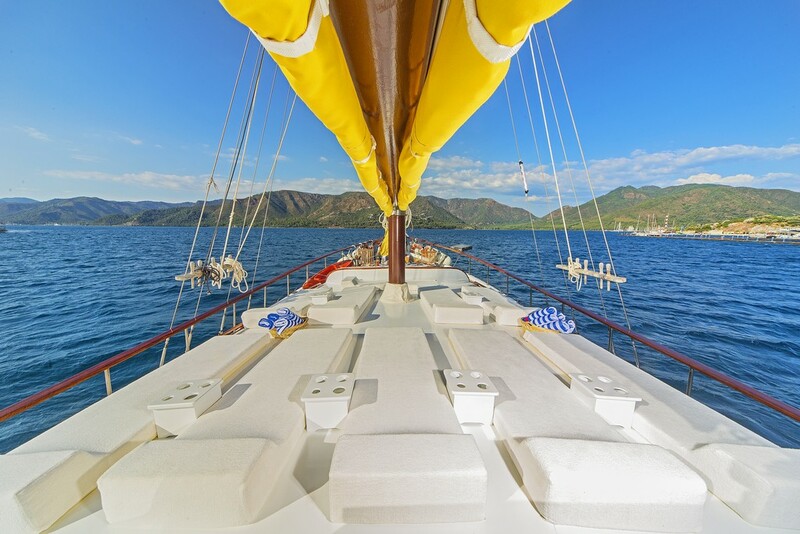 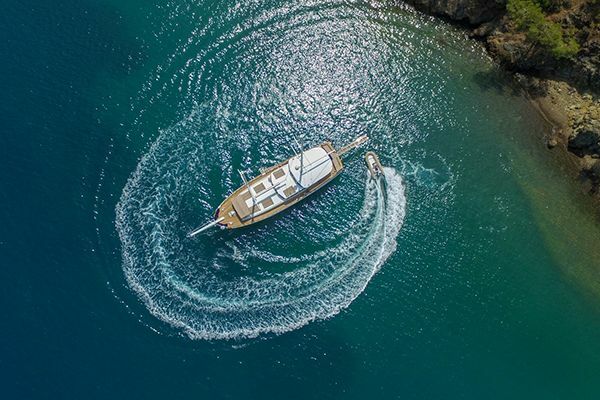 The traditional gulet’s generous deck space is also offered on the Ipek A with the long foredeck carrying individual sunbeds for all, plus the always inviting curved seat at the bow perfect for gatherings by day or evening. 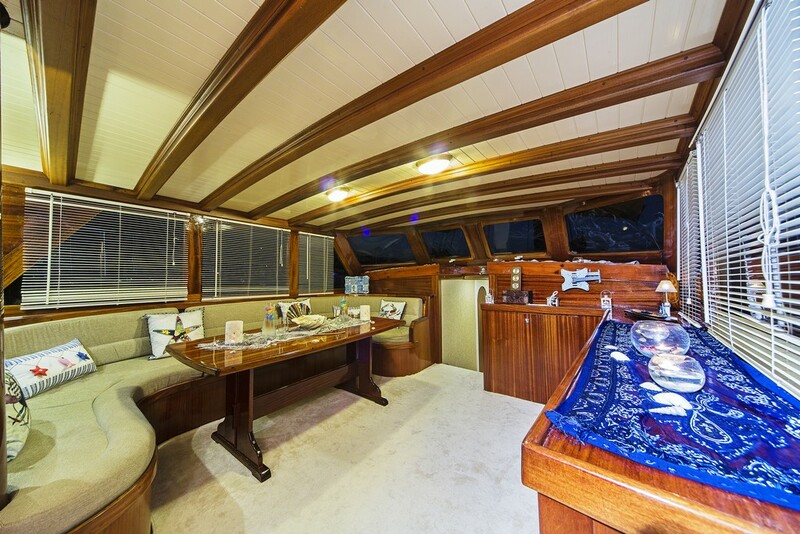 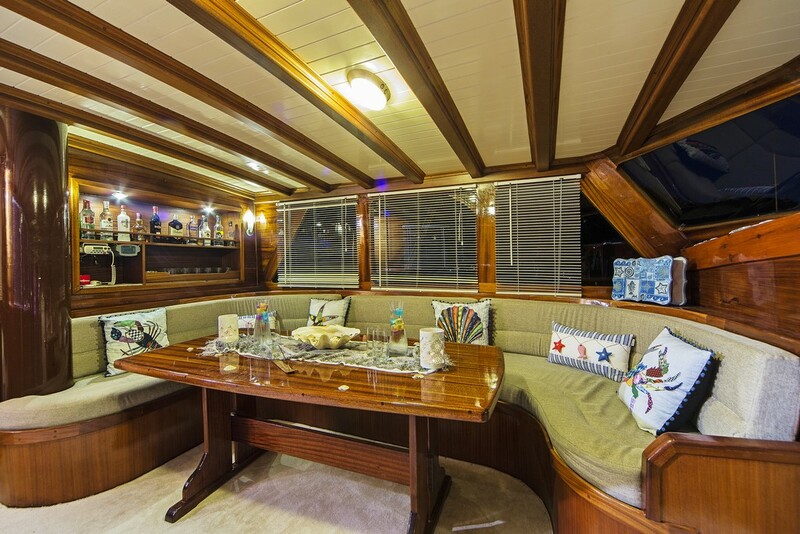 On the back or aft deck the full dining table offers the joys of al fresco dining and the deep wide cushion bank across the stern. 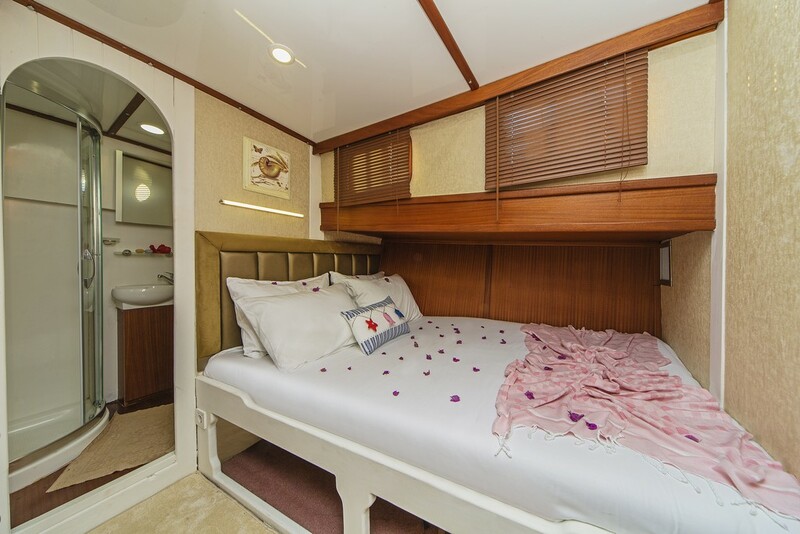 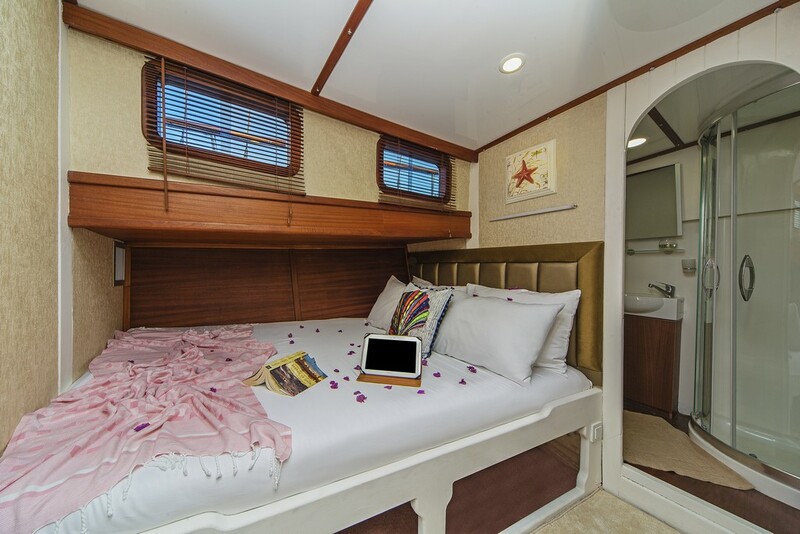 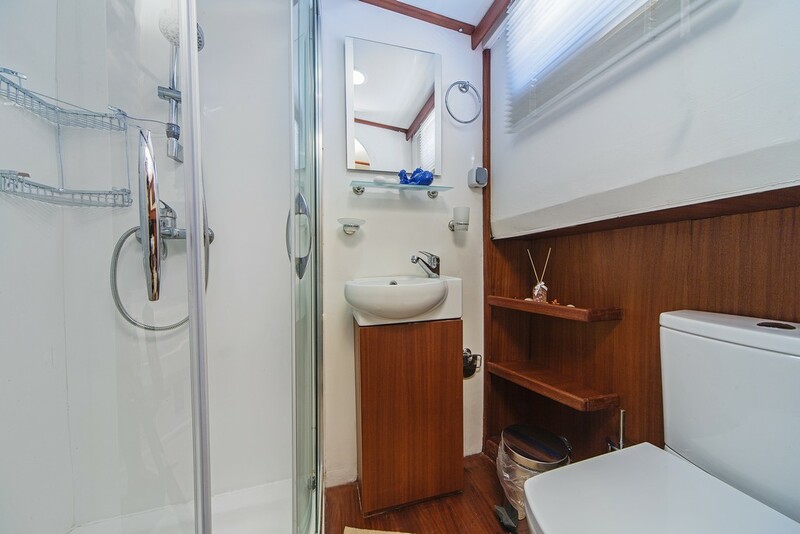 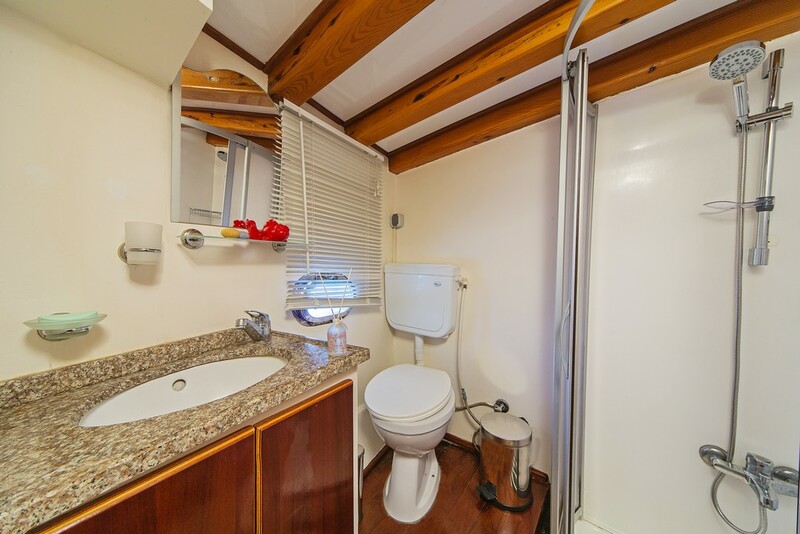 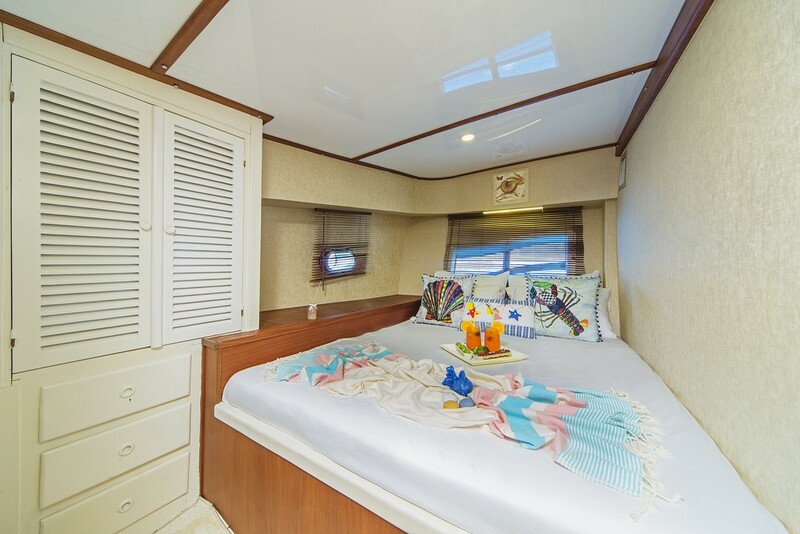 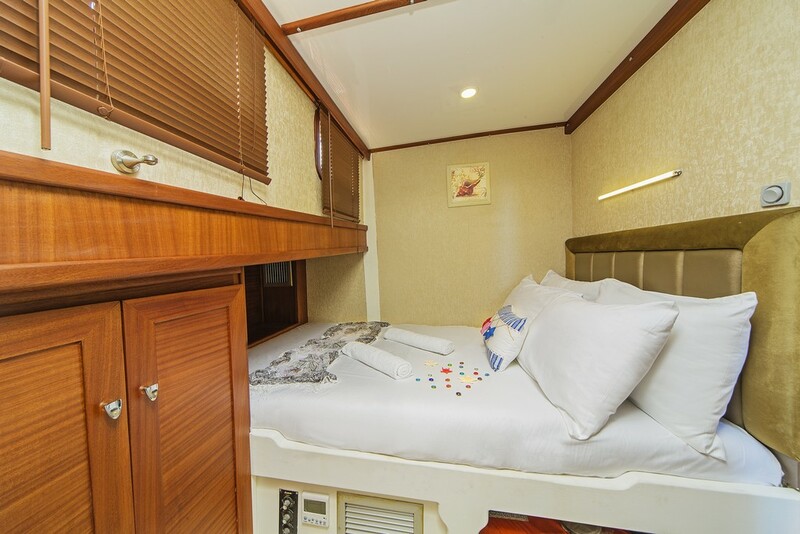 For all the traditional design of the hull, the interiors of the gullet Ipek A are thoroughly modern with the six double cabins each with their own private and well-fitted bathrooms complete with hairdryers, and decorated with light colours and finish. 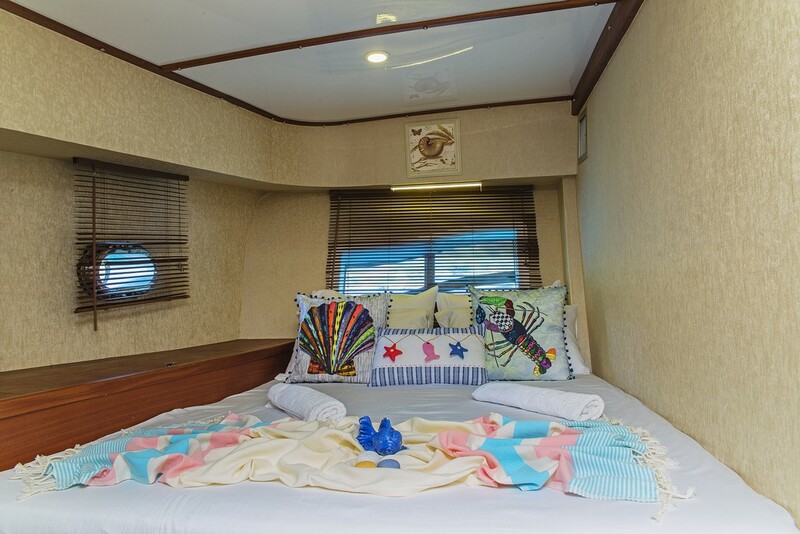 The shared saloon offers a dining nook and comfortable bench seats for light meals or for quiet times watching the TV/DVD or enjoying the music and internet connections available. 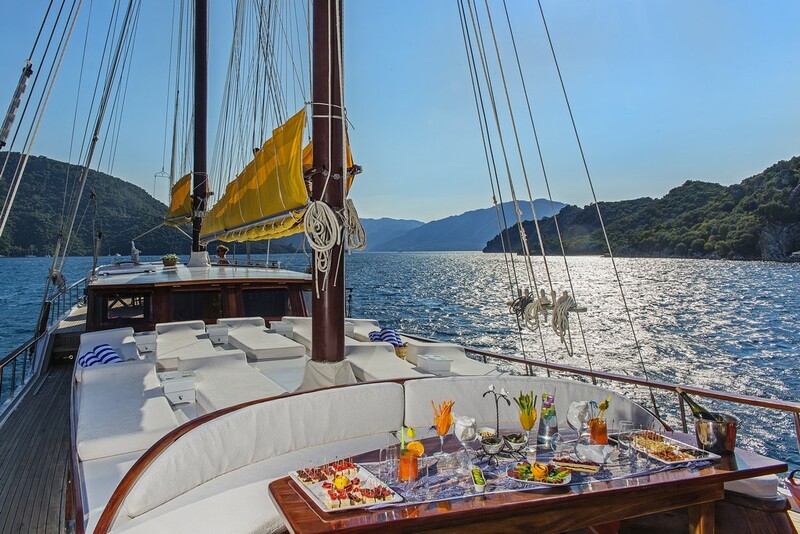 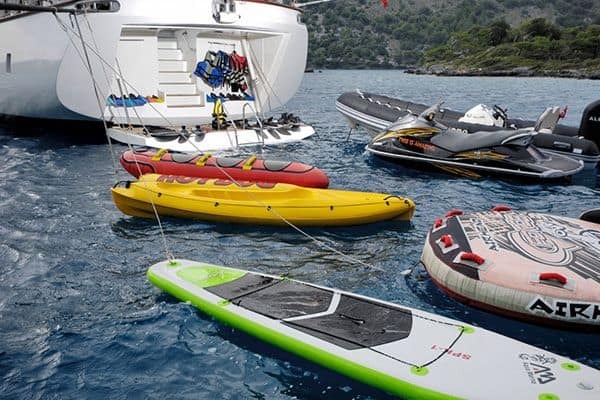 But there is more entertainment available on deck in addition to simply relaxing in the sun and shade, as the gulet also carries canoe, water skis and ringo for more fun in the water when the captain anchors in the right bays. 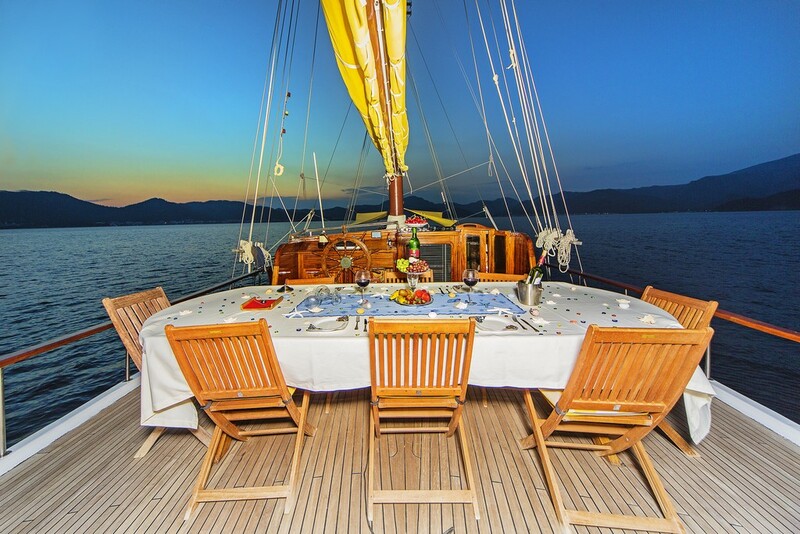 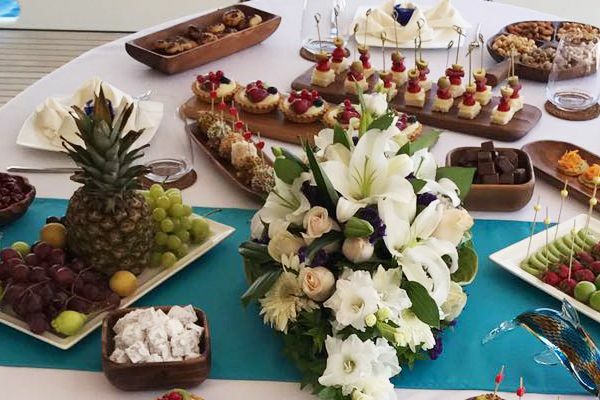 Let the crew do all their tasks of meals preparation and service, cleaning and navigation and they will make sure the guests have a thoroughly enjoyable and good value gulet cruise holiday.